Foothills Art Association December Featured Artist Chona Doering started painting as a way to document memorable places she visited with her family. Although Doering says she had always had a love for art, it was not until 10 years ago that she really got involved by studying the fundamentals, such as color mixing, composition, values, etc. to learn how to create cohesive work. Doering studied under the tutelage of a “highly-regarded local, internationally-known artist,” who introduced her to plein-air painting. She read a lot of books on the subject and expanded her studies by taking various classes and workshops on drawing as well as still life and portraiture. 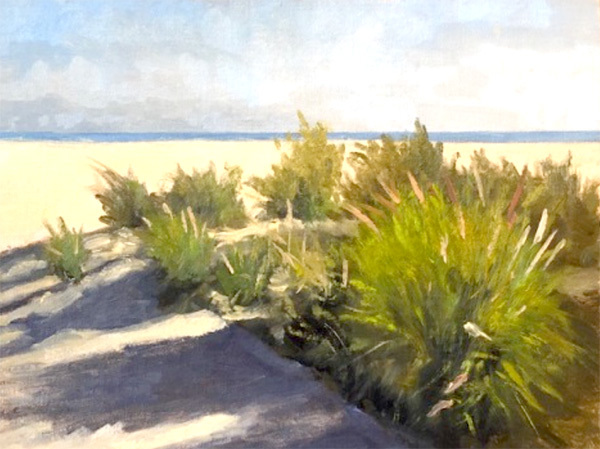 “I enjoy painting plein-air — I call it my outdoor office,” she said. “I like the spontaneity and the fresh look of the painting. I often paint larger pieces from the small studies that I painted outdoors, as most artist do. An artist reception for Doering will be held Saturday, Dec. 8, 2-4 p.m. at the Foothills Gallery at Porter Hall, 4910 Memorial Drive. For more information, call 619-464-7167.